Where were you in 1968? If the name Stanley Kubrick or the opening strains of Richard Strauss’s “Thus Spake Zarathustra” come to mind, then you, too, were at the movies. That year, many of us caught a glimpse of the future, and it was exciting and marvelous. It was to be a time when traveling to the moon would be a simple commute; when massive machines of exploration would traverse the solar system; when, in fact, the greatest question of all—What is the destiny of humankind?—would be answered. The reality on the world scene, however, was not so promising. In 1967 the Six-Day War broke out in Israel, and the first three Apollo astronauts were incinerated in a launchpad fire. The next year brought the assassinations of Bobby Kennedy and Martin Luther King Jr., student riots around the world, and the invasion of Czechoslovakia by the Soviet Union. 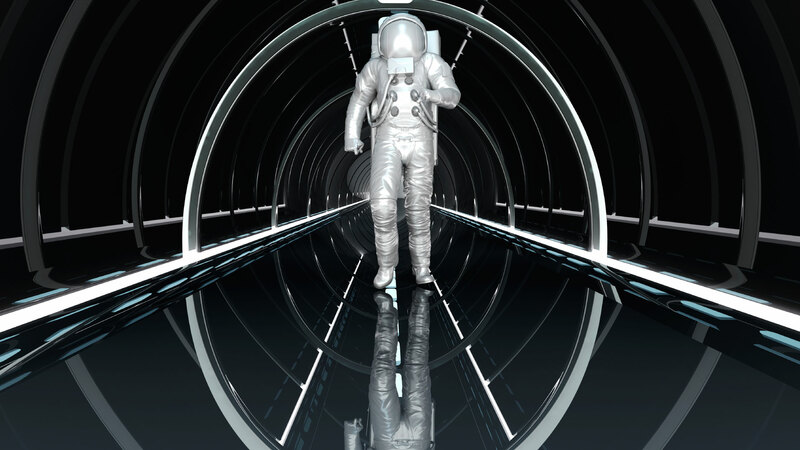 The dream of space travel has been alive and well in the American psyche for many years. It was a major theme in movies and entertainment during the 1950s and ’60s. One film in particular not only entertained us but challenged us to think much more deeply about why we were so fascinated by that dream. The movie 2001: A Space Odyssey, directed by Kubrick and cowritten with Arthur C. Clarke, was a breakthrough experience for adults and children alike. Released at the end of a turbulent decade and at the threshold of the greatest step humanity had ever attempted, 2001 became for many an emotional event. The story itself, now considered a classic of science fiction, traversed human history from the “dawn of man” as australopithecine, to tool maker, to space explorer, to his ultimate rebirth as spirit being. There is no doubt that the younger audience who saw the film when it originally aired was profoundly affected. Children born from the late 1950s onward have traveled through life along history’s arrow of space progress. While to adults its reality may have been more tenuous, the children never doubted that people would reach the moon; never doubted that we would live there or that we would eventually inhabit great biotic satellites orbiting the earth. It was only a matter of time. For children, unable to grasp the intellectual questions of evolution and human technological ability raised by the film, the experience was serene, majestic, beautiful: a trip to the most exotic place imagined—the moon and beyond—with grand music and grander pictures and few words to muddy the wonder. For them, the movie’s relevance was anything but academic. Psychologists point out that a human being at about nine years of age creates a sort of worldview. The shape this worldview takes is based on a person’s experiences and surroundings. Morris Massey, a well-known motivational speaker and former marketing professor, explains that children see the world and what it is like, see their place in that world, and think, “This is it, this is the world and this is who I am and how I fit in.” Barring what Massey refers to as “a significant emotional event,” this mental image of self and world will color all of a person’s perceptions for the rest of his or her life. The children of the ’50s and ’60s have come of age and are now settling into their role as leaders, determining the direction of scientific and social progress for the world. Do they see the coming of the year 2001 as a fulfillment or a disappointment? The movie was so convincingly crafted that, at the time, it seemed the next few decades would lead to the greatest period in human history. Like few other films, 2001 created within the viewer an expectation—a worldview—of the world as it must be. If the movie had been nothing more than spectacular pictures and graceful space hardware, its impact would have been as ephemeral as that of other films of the time. The difference was in its spiritual revelations. It told us that a higher intelligence had visited earth. What would humanity learn when we first discovered that this intelligent life existed out in the universe? According to writer Clarke, one of the biggest roles of science fiction is to prepare people to accept the future without pain and to encourage a flexibility of mind. He commented that two thirds of 2001 was realistic—namely the hardware and the technology—to establish a background for the metaphysical, philosophical and religious concepts that the movie presented. According to writer Clarke, one of the biggest roles of science fiction is to prepare people to accept the future without pain and to encourage a flexibility of mind. In the film’s odyssey through space and time, critical junctures were marked by the coinciding of earth, moon and sun with the extraterrestrial Monolith, a featureless black slab of unknown (but nonhuman) origin. The interaction of human and Monolith was representative of our relationship with a higher power, a higher intelligence leading humankind forward in a kind of cosmic evolution. For adults, the real world may have been spinning out of control, but inside the dark theater it was the great, wheel-shaped space station that spun—slowly, gracefully—as the music of Strauss engulfed them and a mind-bending apocalyptic light show led them to a new existence. The movie invited its viewers to follow the human ascent from apish brute to “star child,” to take a voyage of such spectacle that while the troubles of the real world could not, perhaps, be left behind, they could at least be put into new alignment, a new perspective. It was, as Carl Jung and also a number of more contemporary psychologists would put it, a “transpersonal” experience—a kind of catharsis of mental reorganization, personal healing, artistic inspiration and social renewal. Jung called this process of personal development into greater maturity and spiritual awareness “individuation”—a rebirth of sorts, as dramatic new insights transform a person from the inside out. The terms used to describe this transformation sound almost religious. Indeed, for many viewers 2001 was a religious experience. Some moviegoers at the time even wrote to Kubrick to share their unusually revivalist testimonials. They talked about the movie making them feel alive, helping them think more clearly about who and what they were, or even saving their lives. Because of the movie, there remains a kind of magic associated with the number 2001. From deep within our subconscious, we believe there must be something special approaching, maybe now just over the horizon. We yearn for the renewal of human hope. Still, we are increasingly uneasy in a world void of answers. Not only is the hardware of 2001 not as we anticipated, but our spiritual yearnings remain unfulfilled as well. As some worried about the year 1984 because of George Orwell’s book written 35 years earlier, many today still dream the ultimate dream of discovering that “voice from beyond” that will teach us how to take the next step. But where is the Monolith today, in the real 2001? Where can we look for its message of enlightenment? Stranger than any fiction, if the mysterious Monolith represents the presence, actions and voice of a higher power, that Monolith is available to most every human on earth. The true odyssey of human destiny is on hand for anyone who would care to read it. A higher intelligence has visited the earth and left its Monolith, its message. That message is called the Bible. Why is the Bible such a mystery? If we have the message, why is human life so muddled and confused? Why is the purpose of human life unknown? The answer is given in the first book of the Bible, Genesis. According to the well-known but poorly understood story of Adam and Eve, by taking fruit from the tree of the knowledge of good and evil, the parents of humanity chose to decide for themselves the difference between right and wrong rather than rely on their Creator to instruct them. Because of this, God cut them off from an understanding of their destiny. Genesis 3:22–24 records this event: “And the Lord God said, ‘The man has now become like one of us, knowing good and evil. He must not be allowed to reach out his hand and take also from the tree of life and eat, and live forever.’ So the Lord God banished him from the Garden of Eden to work the ground from which he had been taken. After he drove the man out, he placed on the east side of the Garden of Eden cherubim and a flaming sword flashing back and forth to guard the way to the tree of life” (New International Version). The tree of life symbolized access to God and the way to obtain eternal life. God was ready to grant these things to Adam and Eve. However, He was not going to allow humans to live forever if they would ultimately reject Him as their guide on what was right and what was wrong—in other words, on how to live. The true destiny of humanity is not merely a place but a way of life that is perfect and eternal. It is God’s way of living and thinking; it is the way of good and of love. It is the way of peace and the ability to live together without the violence and tragedy that marked not only the late 1960s but also the entire history of humankind. The lesson from our ancestors, and a thought-provoking interpretation of 200l: A Space Odyssey, is that we cannot discern the way to reach our destiny without revelation from God. And while He cut humanity off from that revelation, if we desire to let God lead us, that connection can be restored. The irony is that most people continue to search for who we are, yet they discount the only source that holds the answer. Are we—a few billion multicellular organisms living on a small planet that revolves around a mediocre star near the edge of one of billions of galaxies—of any significance? The hope fueled by 2001 is that humanity is something more than the product of organic evolution. Perhaps that’s why such movies remain alive in our collective consciousness. Moviemakers may imagine our human destiny, but such imagination does not do justice to the reality that God has revealed in His handbook for humanity. The apostle Paul, quoting the prophet Isaiah, wrote to the early church at Corinth that “eye has not seen, nor ear heard, nor have entered into the heart of man the things which God has prepared for those who love Him” (1 Corinthians 2:9). There is indeed a spiritual rebirth ahead, and it is described by Paul in the same letter to the Corinthians: “Now this I say, brethren, that flesh and blood cannot inherit the kingdom of God; nor does corruption inherit incorruption. Behold, I tell you a mystery: We shall not all sleep, but we shall all be changed—in a moment, in the twinkling of an eye, at the last trumpet. For the trumpet will sound, and the dead will be raised incorruptible, and we shall be changed. For this corruptible must put on incorruption, and this mortal must put on immortality” (1 Corinthians 15:50–53). Those who reach this moment will be those who have listened to and heeded the voice of a power greater than themselves. The date 2001 in the title of the movie was a metaphor for the time when we humans would begin to know ourselves and our destiny. There are not many today who would suggest that humanity has reached that goal on Arthur C. Clarke’s schedule. Indeed, it seems that there is more confusion and concern about our future and about life itself than ever before. Yet, because the movie was fashioned in such visually captivating terms, it remains a powerful metaphor for many. It gave us an expectation; but with that expectation has come growing disappointment. We are no closer to knowing our destiny, our purpose, because we are searching in the wrong place. We are drifting further from the real Monolith—the source of knowledge about our origins and our destiny as revealed by the ultimate Higher Intelligence. The movie 2001: A Space Odyssey asks what humanity will do when it understands that a higher intelligence has visited earth. But in the real 2001, we might ask instead, What prevents us from responding more positively to the message that Intelligence has already left us? When Will the Real Millennium Arrive?